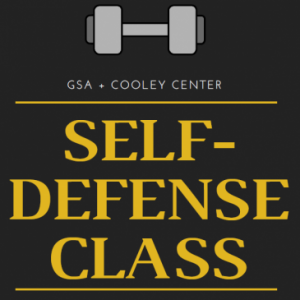 The Cooley Center will be hosting an introductory level self-defense class on September 21st from 4:00 pm – 6:00 pm in the main floor group exercise room! The Cooley Center is graciously subsidizing some of the ticket cost so the price is only $10!! We only have space for 27 people, so purchase your tickets below before they run out! We recommend wearing comfortable/athletic clothing and showing up 5-10 minutes before the class starts.